Nina’s father Charles Reakes joined the Australian Imperial Forces (AIF) in August 1914. He was sent to Anzac Cove, which he recalled was ‘beautiful though it rained a bit in the afternoon’. He arrived with an ammunition column delivering vital supplies up the perilous Shrapnel Gully. 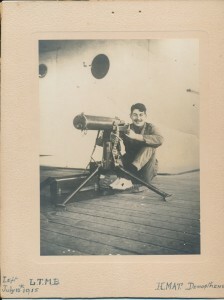 Upon his evacuation from Gallipoli, Charles was transferred to the 103rd Howitzer Battery in France where he had been gassed during battles in October 1918. He left the battlefields when the Armistice was signed in November 1918. The Gold Museum collection includes Charles’ dog tag which he wore as part of his military uniform. Film produced by Wind & Sky Productions, Jary Nemo (Director) and Lucinda Horrocks (Interviewer and Researcher). 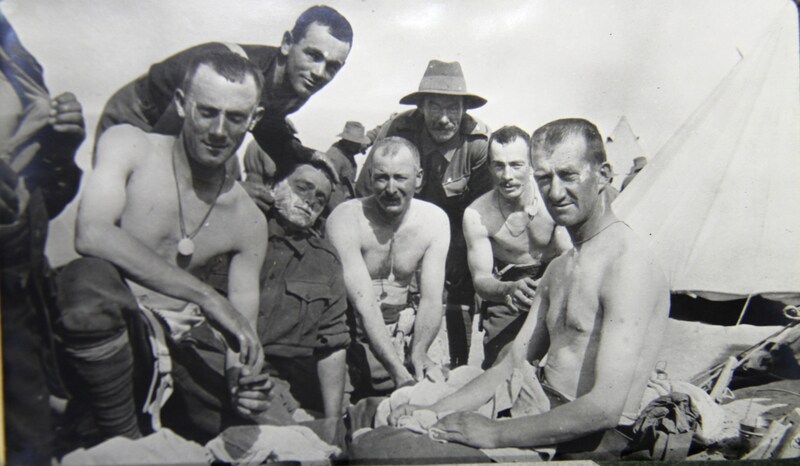 The Memories of War film project was supported by the Victorian Government and the Victorian Veterans Council. Yvonne’s grandfather Hedley Tong-Way and his brother Samuel were one of many Chinese Australians who enlisted with the Australian Imperial Forces (AIF) during World War One. 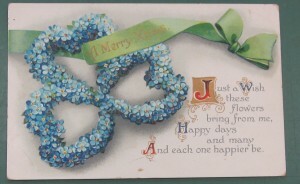 The Ballarat-born brothers were sons of Mary and Rev. John Tong-Way who migrated from China to the goldfields in the 1880s-1890s. Samuel and Hedley’s enlistment applications were initially rejected due to their Chinese background. 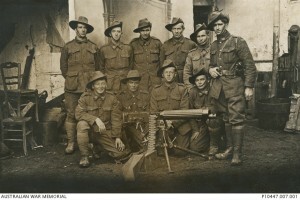 They were finally accepted into the AIF in 1917. They served in the 5th Divisional Signal Company in France. 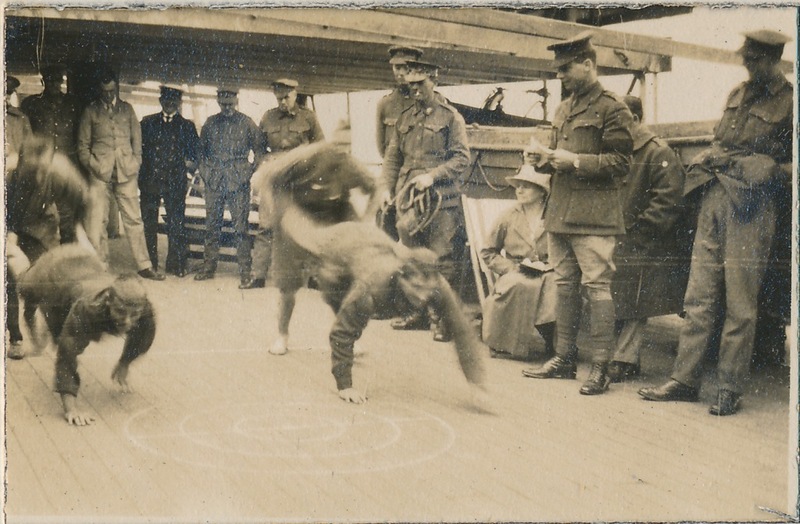 Upon their return to Australia in 1920, Samuel and Hedley became active and respected members of their community. Hedley settled at Lake Goldsmith as part of the Soldier Settlement Scheme and became a public servant. Samuel worked as a teacher in various regional high schools and was an active member of the Returns Sailors’ and Soldiers’ Imperial League of Australia, the Masonic Lodge and management of the Presbyterian Church. 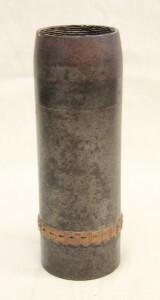 The Gold Museum’s Tong-Way family collection includes a signalers’ trumpet from World War One which belonged to Samuel. Yvonne discusses the brothers’ commitment to Australia and their community, despite the challenges that they faced. 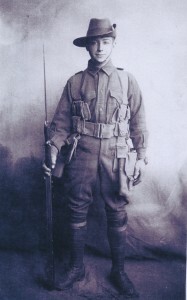 Les Holloway’s father Roy was just 17 years of age when he joined the Australian Imperial Force during World War One. After falsifying his father’s signature on his enlistment documents, Roy joined the 14th Battalion. Following his departure from Australia, Roy trained at Egypt’s Heliopolis Camp before taking part in the landing at Gallipoli on 25 April, 1915. He became sick after several weeks and recuperated in Gibraltar. He was sent back to Gallipoli, where he remained until the evacuation. 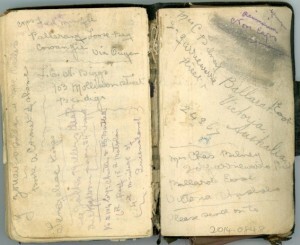 The battalion returned to Egypt, where Roy began keeping a detailed diary. In 1917, he was sent to the Western Front where he was wounded twice; on the second occasion he was taken prisoner by the Germans. Roy was sent to Germany’s Soltau prisoner-of-war camp where he was held captive for 20 months. While there, he worked in the boiler house and electricity plant. Roy was released in 1919 and returned home where he was given a hero’s welcome. Amongst the Gold Museum’s collection of Roy Holloway’s personal artefacts, are his razor and photograph album from the Soltau camp. Using these objects, Les reflects on his memories of his father and his wartime experience. Additional research provided by Herr Horst Meyer, Soltau Camp Memorial. Transcribing Lieutenant Percival Carl Minifie’s diary. In February 2015, I joined the Gold Museum’s back-of-house volunteer team. 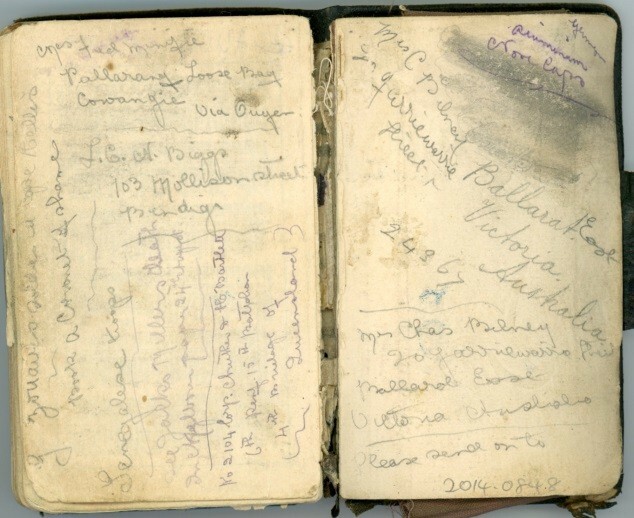 I was given the task of transcribing the World War One diary kept by Australian soldier Lieutenant Percival Carl Minifie. Lieutenant Minifie was 26 years old when he enlisted at Surrey Hills, Melbourne on August 18, 1914. He was a railway employee. 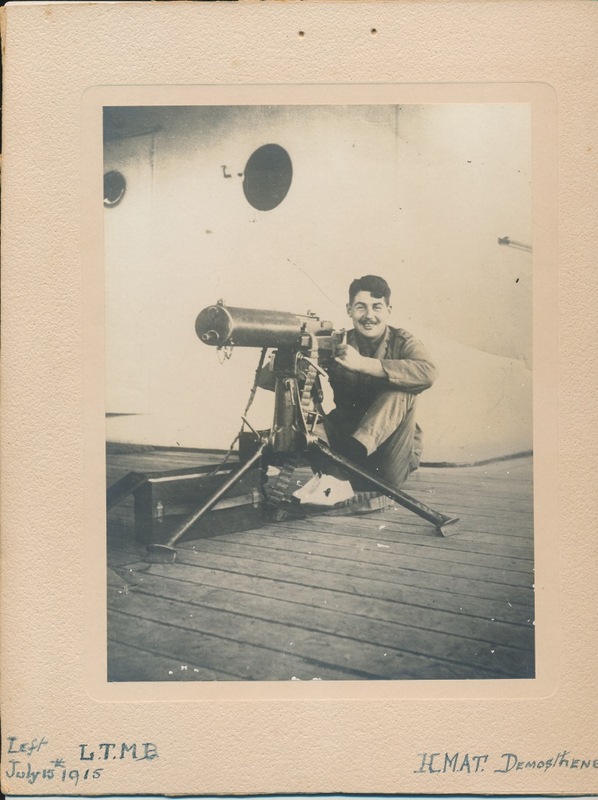 Lieutenant Minifie embarked on October 19, 1914 on the HMAT Benalla A24 from Melbourne. He was killed in action near Passchendaele in Belgium on October 4, 1917. 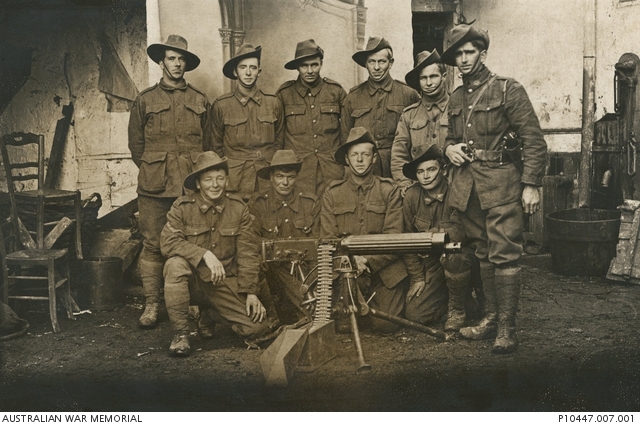 At this time he was a Lieutenant in the 2nd Australian Machine Gun Company. The story evolving in Lieutenant Minifie’s diary had me hooked. The writing in the diary is in pencil and it is closely written. Some pages are missing and many are smudged so they are difficult to read. When I first started to transcribe the diary, I found it very difficult to make out some of the words. As the year progressed, I was able to more easily transcribe what he had written. 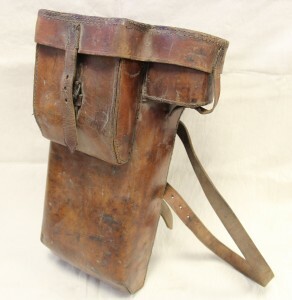 Lieutenant Minifie’s diary begins in early April just before the Gallipoli landing. Lieutenant Minifie wrote several entries before he headed in to battle at Gallipolli where he described in detail the landing and life in the trenches. Lieutenant Minifie seemed to be upbeat in these entries, although he kept longing for a bath and good food. 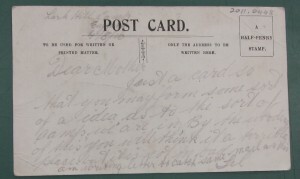 Throughout the diary he remarked in detail about what he had eaten. Sleeping conditions were also often noted. Lieutenant Minifie then went to France where he mainly fought in Belgium around the Ypres, Hill 66 and Passchendaele areas. Unfortunately the diary ended in September 1916. My interest in the diary has led me to do further research by looking up Lieutenant Minifie’s war records, plus researching his family on the National Library of Australia’s Trove service. I knew from looking up his war record, that he would live for another year fighting on the battle front and I was eagerly looking forward to transcribing the next part of his story. However that was not to be. His other diaries were destroyed, leaving the Gold Museum’s journal the only surviving account of Lieutenant Minifie’s wartime experience. Written by Denise Grant, Gold Museum Society volunteer. 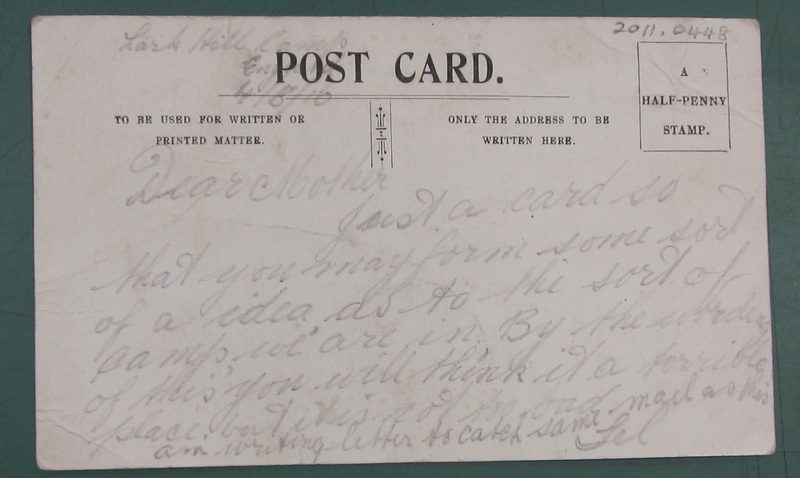 Denise is transcribing the museum’s collection of historical letters and diaries. 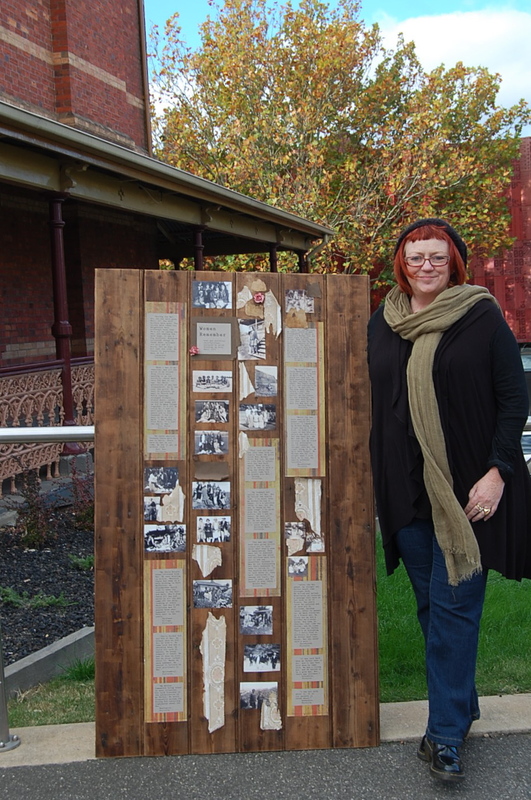 I was commissioned by Ballarat’s Backspace Gallery as part of the exhibition Leaving for the Front: Artist’s Respond which was on display between April and May 2015 during the World War I centenary. 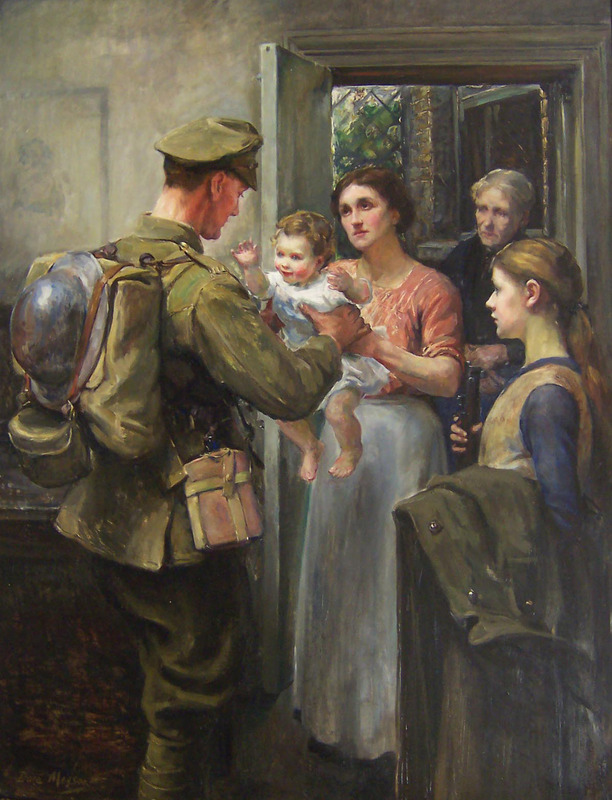 The brief was to create something in response to Dora Meeson’s 1916 painting, Leaving for the Front. When I first viewed Dora’s beautiful painting, I saw three generations of women who were being left behind: the softness of their skin, the emotion in their eyes, the colour of their clothes, the tactile nature of their environment and the uncertainty of the future that lay ahead. I chose to create an oral and pictorial recollection, involving an assemblage using mixed media. I set out to interview Victorian women who remember what the war meant for their grandmothers, mothers and aunts, and to record their stories. I soon discovered that their deeply emotional recollections and sparing quotations deserved dignity and discretion, and were best presented as anonymous. While contemplating the impact of War on the lives of women, I also found myself reflecting on the early adulthood of my own paternal grandmother, and her sisters: the ‘MacMillan girls’ of Terang, Victoria, along with their friendship circles. I am the custodian of several photo albums detailing the MacMillans’ social life from 1924 to 1926, so I felt compelled to incorporate a small selection of these images, which were taken around Western Victoria. Ailsa Brackley du Bois with her commissioned piece, 2015. I have long been struck by the lack of men present in my inherited collection. At the outbreak of the war, most of the women pictured in my artwork were, in fact, the age of the adolescent girl in Dora’s painting. By the time the 1920s came, they were in their prime and wanting to socialize and even flirt a bit, yet there was an absolute shortage of men. I also have in my possession quite a few images of women posing for pictures in which one young woman in each duo portrays the male gender. On close inspection of group images, I’ve also noted the presence of androgynous looking women wearing pants. As a child I recall interpreting this as some old-fashioned girls’ game, or simply assumed that some of these women were in fact men. I now recognize the sub-text and the unspoken possibilities. One of my great aunts was, in fact, a friend of Dorothy’s. In her later life, we shared careful conversations on the subject, over small crystal glasses of French wine in the reading room of the home she shared for over 50 years with her life-partner. I found the process of undertaking this work to be a fairly profound personal journey. Given I was preparing it all exactly one year after my father’s death, it was very moving to be considering his maternal line in such a contemplative and sociological way. When I looked at what I was putting together I would sometimes shed quiet tears. So much sadness, so many secrets and so many skeletons in closets. I sincerely hope that I’ve given fair voice to women who’ve been unable to speak openly about these matters, for whatever reasons. 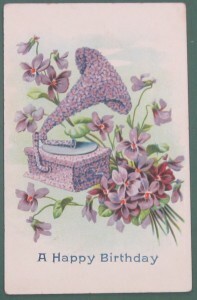 Written by Ailsa Brackley du Bois, a multimedia artist with a life-long fascination with cultural heritage and history. Her oral history research for ‘Women Remember’ forms part of the source material for The Last Goodbye, a film about remembrance produced by Wind & Sky.